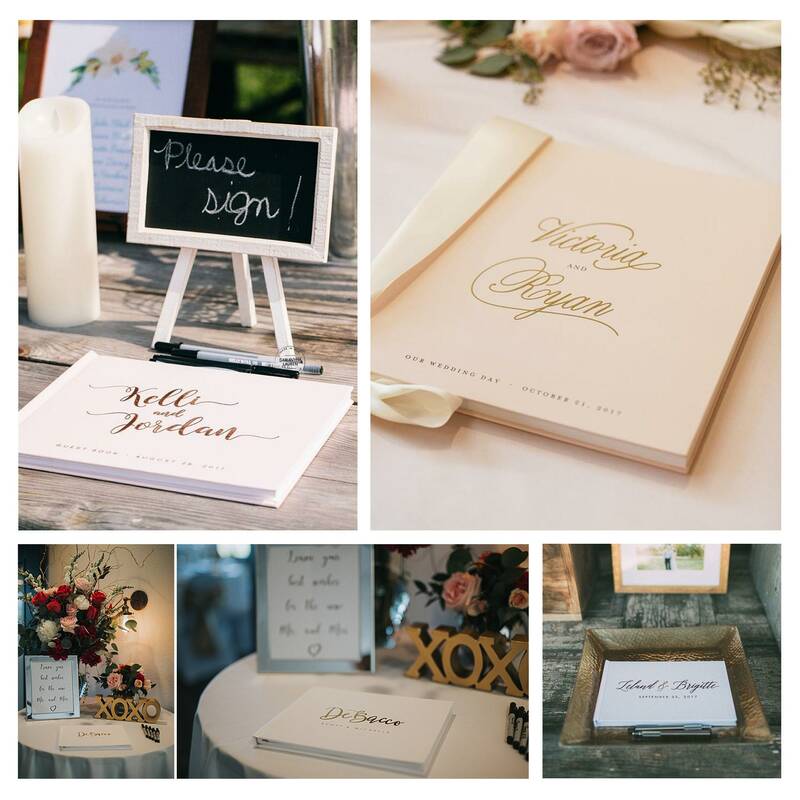 This wedding guest book in a horizontal, landscape format and real gold foil features a sleek, classic calligraphy design with your new shared name and wedding details, including date and location. 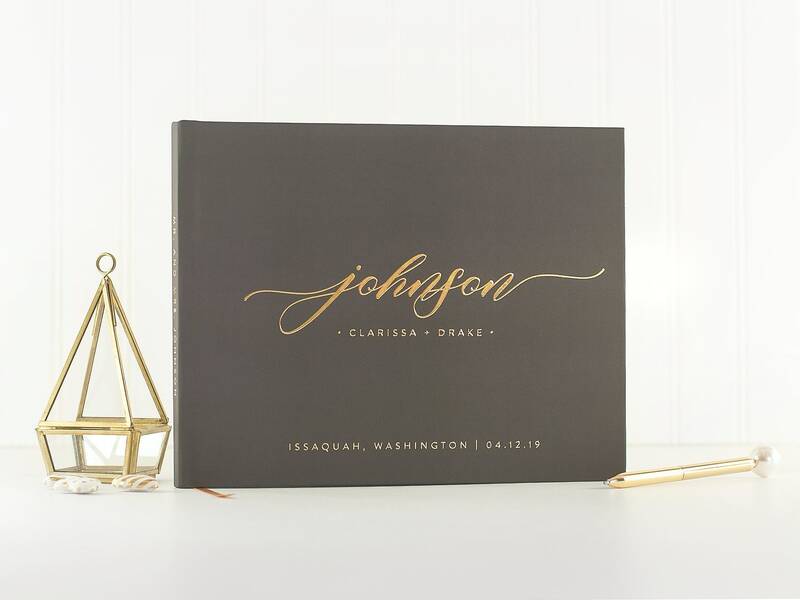 Shown in charcoal #38 with real gold foil accents (choose gold, silver or rose gold foil), the cover color can also be customized using our color chart. 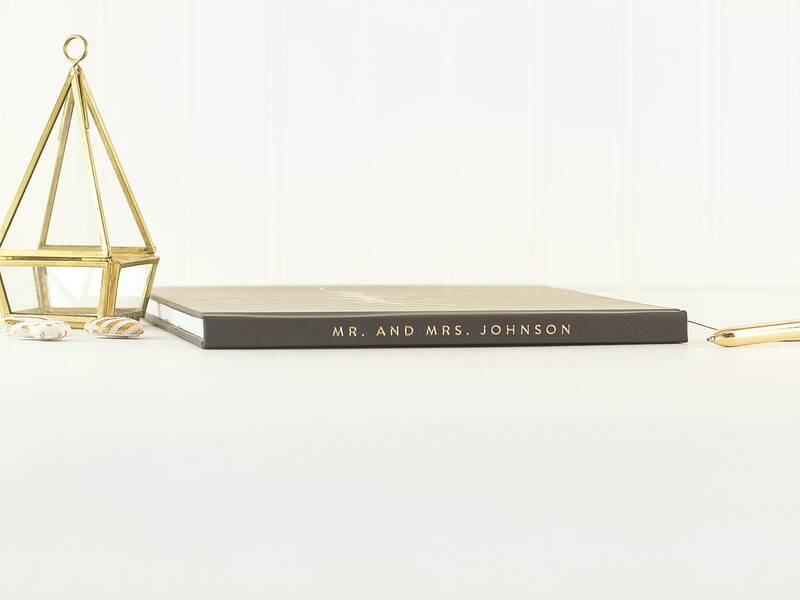 Your new shared surname or 4-5 words of custom text is highlighted on the spine of the hard cover. 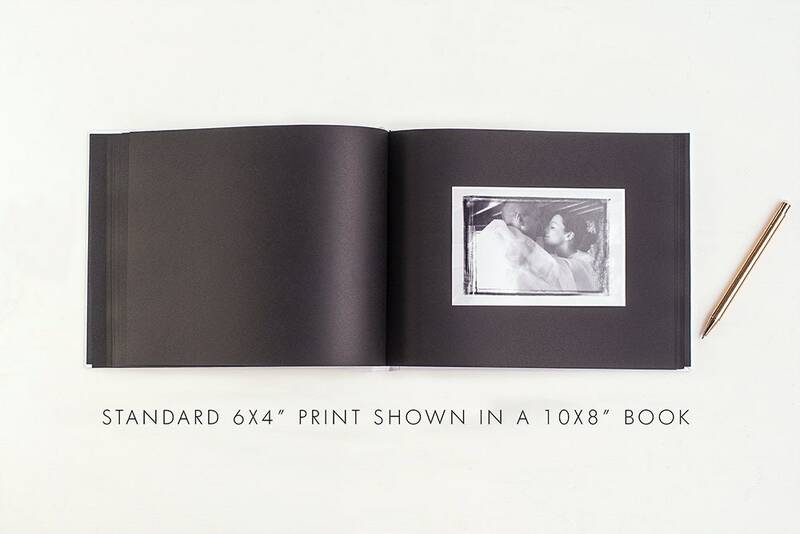 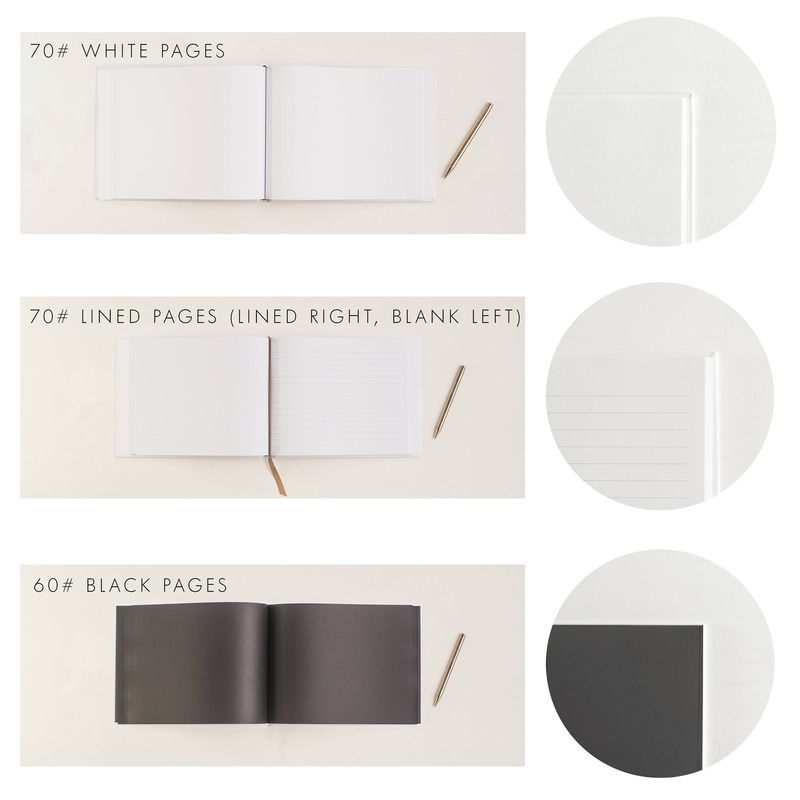 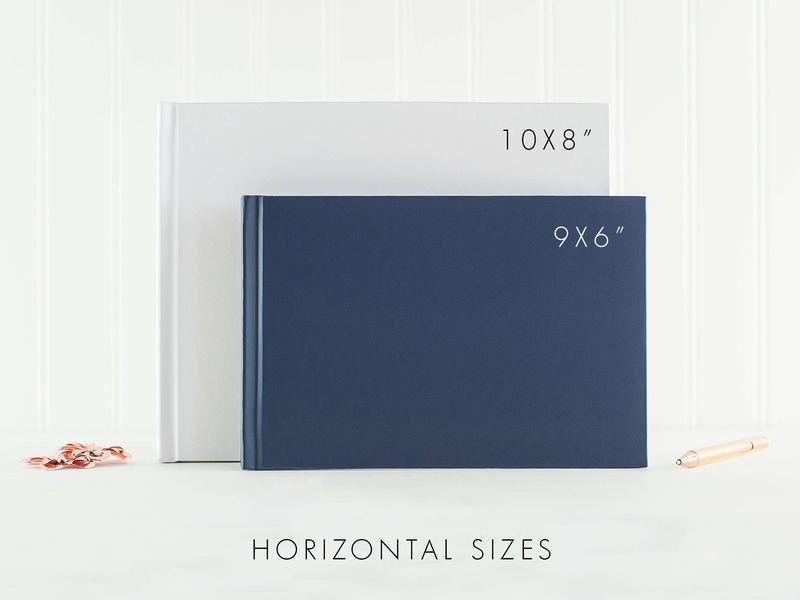 Our hardcover guestbook comes with your choice of blank, lined, or black pages. 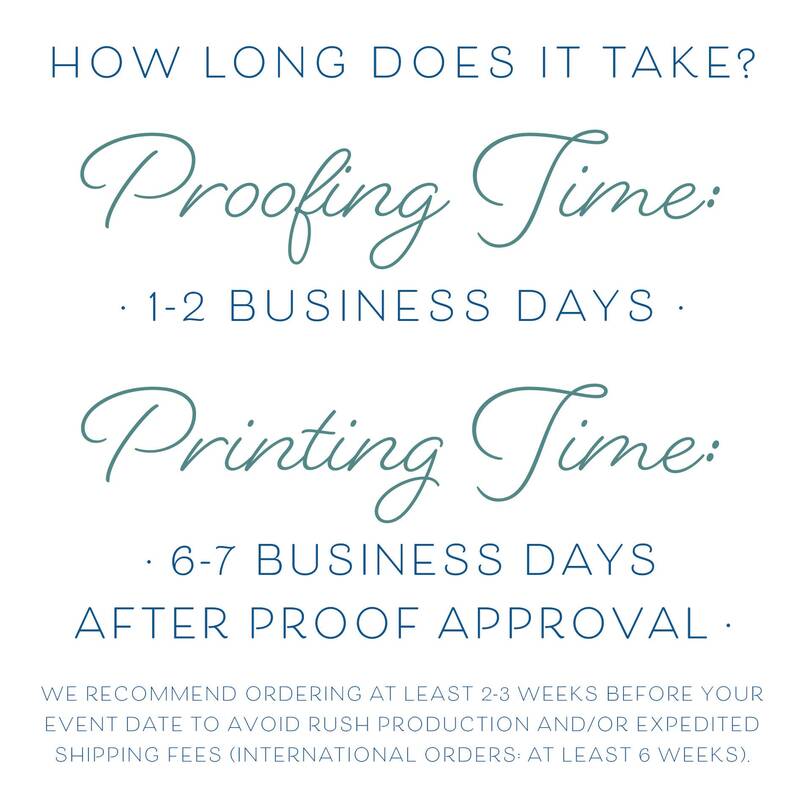 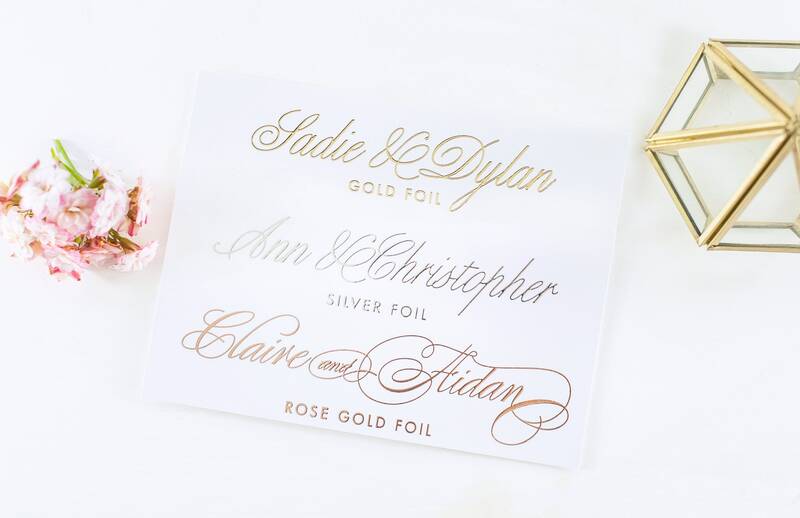 This design is available in gold foil, rose gold foil or silver foil. 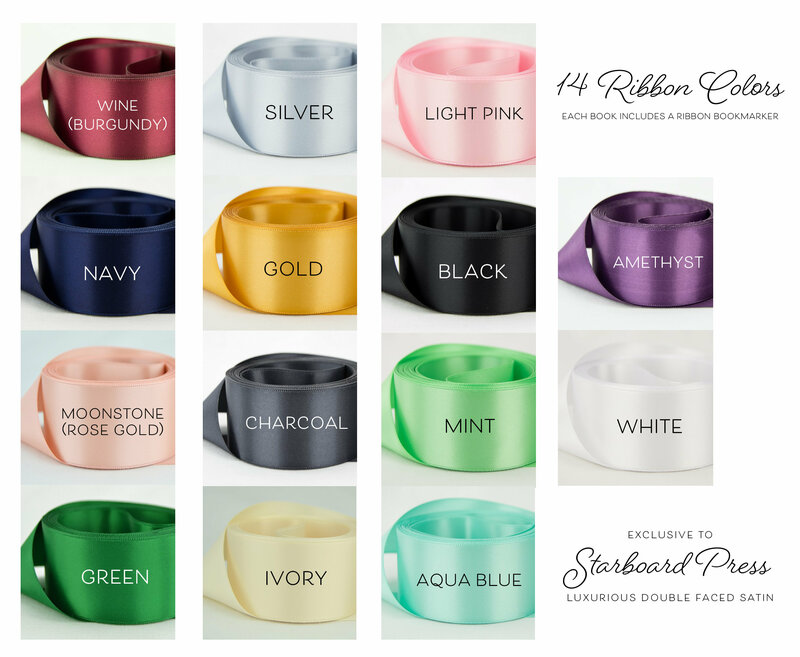 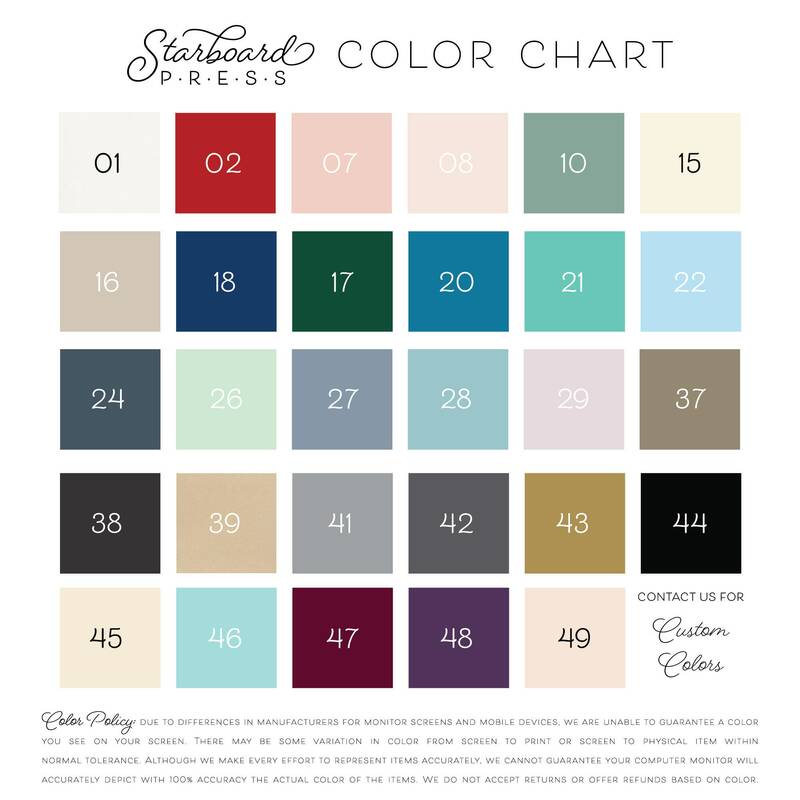 A ribbon marker in your choice of 14 beautiful colors marks your place.